Fun fact about me: in addition to being a communications major and business minor during my time at the University of Rhode Island (go Rams! ), I was also a film studies minor. I’ve loved movies and TV for as long as I can remember, a fact I’m only able to not be ashamed of because I also read a lot 🙂 This post is the first of what I hope will be several posts about the connections I draw between the screen and my life. I have no idea how it started, but last night my roommate and I were talking about the Klingon language. Neither of us are really Trekkies, so this coming up as a topic of discussion (during a hockey game, no less) can be considered odd. 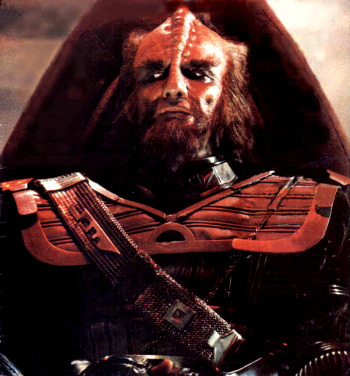 We stumbled upon the website for the Klingon Language Institute– yes, that is a thing- and started learning about its history. It was here that we learned something interesting. While responsibility for the keeping of the Klingon language is credited to linguist Mark Okrand, it had another early collaborator and champion: Star Trek actor James Doohan. Doohan, best known for playing Scotty, had a deep personal interest in language and vocal skills, used his amateur linguistic skills in 1979 to lay the foundation for both the Klingon and Vulcan languages. What’s more, neither Scotty nor any of the other characters that Doohan went on to play in later iterations of Star Trek, were Klingon. He simply found an opportunity to take an area of interest and apply it to his work. Why is this important? Well, nearly constant debates over how much to share online with students or coworkers are essentially a partitioned version of a larger question: how much of yourself should you bring to work? While I’m not any more of an expert on the topic than James Doohan, he and I would likely argue “as much as you can”. Not only does the ability to be yourself at work make for a more comfortable and supportive work environment, but it could also lead to a new perspective, a new idea, a new way to impact your office and perhaps the world. So what part of you can make your office better? Have you used your personal interests or talents in the office? And when do we think there will be a Rosetta Stone for Klingon?